Japan is one of the oldest nations on earth, in cultural terms. And it is also the oldest nation demographically on the planet, with a median age of 47.7 years. Unsurprisingly, Japan has a developed a reputation recently for economic and cultural stagnation, a place where nothing of consequence is happening. But it’s wrong to ignore what’s going on in a country that is at the very edge of the liberal world, in a time where the world order led by the United States is waning. Japan has tough choices to make, and slowly, it is making them. On May 1st, the Japanese Emperor Akihito will abdicate and cede the Chrysanthemum crown to his first son, Naruhito, the crown prince. What I just did, namely referring to the royal family by their birth names, would be a scandal in Japan, though not illegal, as it would be in, say, Thailand. In Japan, the proper way to refer to the royal family would be to say that His Majesty Emperor 天皇陛下 (tennō hēka) will soon abdicate and cede his place to His Highness the Crown Prince 皇太子殿下 (kōtaishi denka). This fact itself is, in theory, of little significance. The Emperor in Japan today is not a controversial figure. Not that people think of him as a God. In fact,the Emperor is barely thought of at all. He is just an old man who does his rituals and gives a rather boring speech now and then. Everybody knows he has no personality of his own, nor is he supposed to; all his behavior and speech are tightly controlled by the Imperial Household Agency. But everybody more or less still has positive feelings toward him. But the monarchy has not always been as safe as it is today. In the post-war years, well into the 1960s, Japan had a big, loud, and culturally influential Communist movement, which made a point of calling for the abolition of the imperial house. The Communists had a point in that Hirohito, the Shōwa Emperor, was still reigning after having, officially at least, led the Japanese military over the invasion of China and World War II. The extent of his responsibility is still controversial, but old Hirohito kept quiet, very quiet, for decades, and then died in 1989. By then, the Japanese Communist movement had pretty much died alongside the Soviet Union. His son, the present emperor, is universally liked. He has a lovely empress, and just looks and talks like he’s never done anything but give people joy and encouragement. The one single time when His Majesty, who after his death will be called Heisei Emperor, did something which wasn’t part of the usual script was three years ago. On August 8, 2016, he made an unscheduled TV appearance to give a public speech. That was incredibly odd. And odder still was its content. The Emperor announced his will to abdicate the throne, citing his age (he was 82 at the time), and ill health, making it impossible for him to fulfill his job as the symbol of the nation. This speech came as a huge blow for Japan’s right-wing, and especially for the current government. Shinzo Abe, the current prime minister and most powerful politician in Japan for the last half a century, is known to be a strong supporter of a constitutional change to do away with the most liberal parts of the 1948 Constitution, widely considered to be an “American imposition.” A draft (here’s a summary in English) has been circulating for years calling for several changes, including the abolition of Japan’s famous Article 9, which solemnly proclaims “the Japanese people forever renounce war…and the right of belligerency of the state.” With that out, the change would also decree the transformation of Japan’s Self-Defence Forces into a proper Japanese Military Force legally capable of sending troops overseas, and in terms of breaking with the post-war culture, proclaiming the Emperor as the Head of State, not just a symbolic figure. The constitutional reform never happened. It doesn’t seem like it ever will. Part of the reason is a complete lack of interest by the majority of the Japanese population. The changes are all rather cosmetic. People’s lives are hard enough in a time of prolonged economic stagnation and higher taxes to pay for the crushing burden of retirees. And part of it is because of the Emperor’s speech stressing that he was a symbol, a good symbol. Reading between the lines, he must have sensed that the government was trying to use his personal charisma to push for a right-wing constitutional reform, and he wouldn’t have it. A Japanese emperor is abdicating for the first time in 200 years, in what could very well be read as a left-wing political statement. The Crown prince himself is widely known as a liberal. In Japanese terms, that means he’s opposed to the Japanese right’s neotraditionalist bent, in large part because of his own temperament. But this temperament is likely a product of education from his parents to be wary of the political right and its delusions of grandeur, which damaged Japan so much in the 1930s and 40s. And without a doubt, some of his wariness of the right has to do with his commoner wife, Masako (neé Owada), a career diplomat who never enjoyed life in the Imperial Household, routinely fails to attend imperial rituals, and only regularly shows up for official trips to Europe, which she allegedly enjoys greatly. She also failed to produce a male heir, having only given birth to a single daughter, Aiko. Perhaps because of it, Masako is said to have suffered from chronic depression for decades. Her now-teenage daughter is said to suffer from anorexia and a series of emotional conditions, too. Needless to say, the Japanese right hates Masako with a passion, deeming her a complete failure as a future empress and an embarrassment to the nation. That’s not a good combination for imperial advocates pushing a constitutional reform to enhance the powers of the Emperor. Both he and his father are fine with that. Given the lack of cooperation by the actual holders of Imperial office, Abe and his fellow cultural right-wingers are left with no choice but to use the powers they do have to advance their cultural agenda. A good example was the announcement of the new Regnal Era Name, called the 元号 gengo, on April 1st. The era names are relics of Chinese imperial politics. East Asia never developed a way of sequentially recording years, such as Ancient Rome’s ab urbe condita, counting from the foundation of Rome, or the Western anno domini, counting from the birth of Jesus Christ. So calendars in China merely counted the years after the current ruler’s accession. Emperor Wu of Han in 115 BC decided to embellish the calendars with an “era name,” a set of two auspicious words to describe his reign, so that instead of documents saying “in year 3 of Emperor Wu,” they would say “in year 3 of the era of Light and Greatness.” The system stuck until the very end in 1911. All cultures which adopted Chinese writing and statecraft, including Japan, adopted the era name system in time. As most of East Asia became republics, they all abandoned this frankly cumbersome system. All but Japan, that is. That’s where terms like Shōwa Emperor for Hirohito come from. Shōwa being “Clear Harmony.” Well, the Japanese government announced in April 1st that the regnal name for the new Emperor, our liberal friend with a depressed wife and daughter, will be 令和 reiwa. This scarcely matters at all, besides the symbolic meaning beyond the choice that Shinzo Abe and his government have made. The explanation they have given states that the name means “Beautiful Harmony.” And the source for the words comes not from Chinese Classics, as has been tradition since 701, but from a Japanese native classic, the 万葉集 manyōshū, an 8th century poem anthology, the oldest extant work of literature in the Japanese language. This is an obvious breaking of tradition by changing the sourcing for the regnal name, choosing an old Japanese text instead of a Classical Chinese one. Right-wing movements often claim to be defending tradition, but Abe’s move here is paradigmatic in showing that right-wing movements are almost always neotraditional. Abe and the political right in Japan since the 18th century do not want to turn back the clock and restore actual traditions. They want to make new traditions that fit with their overall political vision, of national coherence and self-reliance. For the average person who hasn’t spent years studying ancient history, it would seem perfectly natural that Japan uses its own classical literature to choose the name used in its own calendar, regardless of what their ancestors had been doing for 1,300 years. China, however, has not missed the hint. While the Chinese government is smart enough to not comment publicly on the issue, the Chinese internet is awash with comments on how Japan has broken its own tradition in what seems like an open rejection of Chinese culture and their age-old influence in Japan. China, which has undergone a sizable revival of classical culture since the turn of the century, has an odd fascination in how its culture has been modified in its own sphere of influence, Japan being the best example of East Asian cultural drift. Classical Chinese in Japan was almost perfectly the equivalent of Latin in English speaking countries; a foreign prestige language which was the basis of education for over a thousand years. After modernity, however, it suddenly became completely irrelevant. In Japan, literacy in classical Chinese, once universal at least in elite circles, has plummeted in recent decades. The Chinese internet has noticed the decline and accused Japan of illiteracy by claiming that the new regnal name, reiwa, means “beautiful harmony,” when, if you have the slightest familiarity with Classical Chinese vocabulary, it quite transparently means “to command peace.” A very Japanese way of seeing government, the Chinese say. I would add sarcasm of my own and say that the idea is even more Chinese. The cultural hangups of Japan regarding its vast Chinese cultural heritage is indeed a fascinating topic. Japan has had a love-hate relationship with China from the very beginning, not unlike that of England towards France after the Norman conquest. Politically, Japan always kept his distance from the vast Chinese empire, but the island nation adopted the famously cumbersome Chinese writing system in the 6th century and to date more than half of the Japanese vocabulary is of Chinese origin. Not to mention Japanese dress, architecture, and religion, all of which can directly be traced to China’s Tang Dynasty (618-907). But the love soon became embarrassment after China was defeated by Britain in the 1840 Opium War. Japan embarked on a program of wholesale Westernization in 1868 to avoid sharing the same fate as all the other Asian nations, which were falling under the boot of European empires; the failure of China to modernize and stand up against Western encroachment made a powerful impression on Japan. The embarrassment eventually became utter, sometimes even sadistic, contempt after Japan beat China in the 1894 Sino-Japanese War, after which it annexed the island of Taiwan and very nearly got a foothold in the northern Chinese coast. That contempt didn’t disappear after the defeat in World War II, for which the Japanese credit the U.S. military, not Chinese resilience. That contempt is only starting to very slowly dissolve after China’s GDP surpassed Japan’s in 2010, to make China the second largest economy in the world. Now, in 2019, China’s GDP is three times as big as Japan’s, and regardless of all the decades of dismissal of Chinese governance and lack of industrial culture, China now dominates many industries Japan used to be very proud of, such as mobile phones. Unthinkable a mere 10 years before, it is now common to see reports in the Japanese press about how China is more innovative than Japan, how it is taking over industry after industry, and that technology jobs in Shanghai, Beijing, or Shenzhen now pay much better than equivalent jobs in Tokyo. Japan is one of the few countries that has managed to have a (small) trade surplus with China, but that may not last long. Add to economic takeover the political tensions between the countries, the conflict around the Senkaku islands (Diaoyu in Chinese), China crowding out Japanese infrastructure exports in the Third World, and Chinese state promotion of World War II “remembrance,” including widely exaggerated history textbooks and historical TV shows portraying the Japanese as evil incarnate, and it’s not hard to imagine just how utterly terrified Japanese statesmen are about the rise of China. Not to mention the 2012 anti-Japanese riots, which saw more than one factory physically burned. How has Japan reacted so far to China’s rise? Culturally, a right-wing shift into isolationism and self-congratulation, of which the new “native” regnal name is a good example. Japan is not in decline, they say. We are just doing our own thing. This thing, of course, just happens to include population shrinkage, economic stagnation, a precipitous decline in film and literature quality, and a decline in foreign travel or college students studying abroad. Interestingly, as the Japanese just lose interest in the world outside its islands, foreigners are for the first time ever coming in big numbers. Not only is immigration slowly, but steadily increasing, the number of foreigners in Japan reaching 2.5 million in 2018. In a rare case of a recent success story, Japan has also rapidly developed its tourism industry. 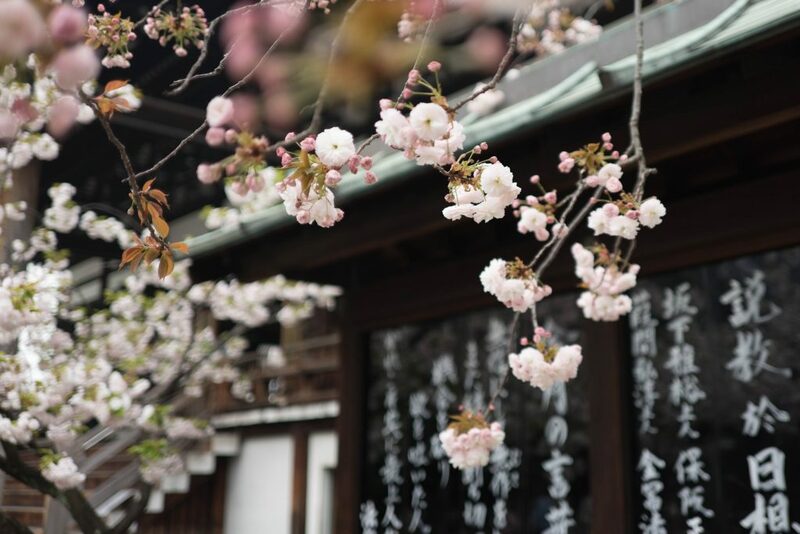 Tens of millions of foreigners (mostly Chinese and Southeast Asian) now flood the country every year (over 30 million in 2018) to enjoy authentic sushi and wear rental kimonos under the spring cherry blossoms. Japan has somewhat overcome its traditional insularity and now relishes in its success at attracting tourists. Japanese TV programs show foreigners coming to Japan and enjoying the obviously superior culture, while a panel of Japanese commentators congratulate themselves on how nice it is to see foreigners enjoy the riches of a superior country. Interestingly, the foreigners shown on TV are almost universally white. Whites don’t even make up a quarter of visitors to Japan. That perhaps says more about the sorry state of Japanese showbiz and publishing industries than the national mood per se. Politically, the Japanese government is indeed rising to the challenge and trying to find a place in a world where U.S. hegemony is fast retreating from the world, and most especially in the East Asia. And that is no easy challenge. Japan is a country without a single natural resource, which means that its economic sustenance depends completely on open sea lanes and a worldwide system of mostly free trade. Its mostly liberal politics and housing of 50,000 American troops has given access to the vast American market on advantageous terms. It was by exporting its goods to the U.S. that Japan was able to grow out of poverty in the 1960s and become the industrial powerhouse that we know today. Without that American support and protection, Japan would hardly be able to feed itself. While Japan was slowly falling into existential terror over China’s rise, Donald Trump came along in 2016 and declared that he was going to withdraw U.S. troops from Korea and Japan, dismantle NATO, and make sure Japan can’t have a trade surplus with the U.S. One can’t help but admire Shinzo Abe for neither losing his sleep, nor falling into depression, but instead actively engaging the Trump administration and lobbying for the continuance of the U.S.-Japan alliance. Abe has become the best friend of the Pentagon, eagerly joining the Democratic Quad (an alliance between the U.S., Japan, Australia and India), playing a double game when it comes to China’s much hyped Belt and Road Initiative, and rapidly coming behind every initiative to contain China, such as banning Huawei telecom equipment. Japan and India have also been heavily cultivating their mutual relationship in what is obviously a China-containment alliance. Will that be enough? For all the seeming thoughtlessness, Trump had a point when he asked how America benefits from the U.S.-Japan alliance. American economic interests in China are now far larger than those in Japan. While the American military establishment seems firmly set in forming an anti-China front—what I have previously called Cold War II—the Trump administration seems to be getting pushback lately. A recent example is Germany and Britain’s decision to not ban Huawei. And most importantly, the American left seems quite amenable to finding an accommodation with China in order to focus on their domestic initiatives. It is not inconceivable that future U.S. governments would throw Japan under the bus in order to reach a deal with China. And Japan must know that. South Korea certainly knows that, and so for years has embarked on a strategy of calculated ambiguity between the U.S. and China. The Korean economy is now much more invested in China than in the U.S. Korea has sent hundreds of thousands of students to both China and the U.S over the years, and its policy on North Korea has been much softer than the U.S. government would have liked. Korea was a Chinese vassal for 1,300 years, with no foreign policy of its own, and used Chinese regnal names (the era names mentioned at the beginning of the article) in official documents. While it’s not throwing itself into China’s hands just yet, it is obviously preparing for an eventuality where it has no choice. Japan, on the other hand, seems to be choosing a path of continued independence, burning the bridges, staying put, and asserting its ironclad will to not accept Chinese hegemony. China is also not giving them much of a choice, preferring to use the tried-and-tested boogeyman of World War II Japan as China’s historical enemy for internal propaganda purposes. As so often happens in history, neighboring countries often find it useful to pump up hostility towards each other as a way of pacifying their own domestic populations. Japan has ever so subtly hinted that it would militarily support Taiwan in a hypothetical conflict with China. That choice could slightly tip the military balance either way. But, at some point, rhetorical hostility encounters a real crisis. When that happens, countries feel forced to physically react into armed conflict. The results would shape the continent for decades to come. Yago Campos is a writer based in East Asia. He holds a graduate degree from Kanazawa University.